If all goes according to plan, the South Shore will have a new distillery producing vodka and rum in time for Christmas. And it's a case of Halifax's loss is Chester Basin's gain. David Blackburn and his wife, Lori, of Middle Sackville are building a small distillery on Highway 3, about 10 minutes outside of the town of Chester. 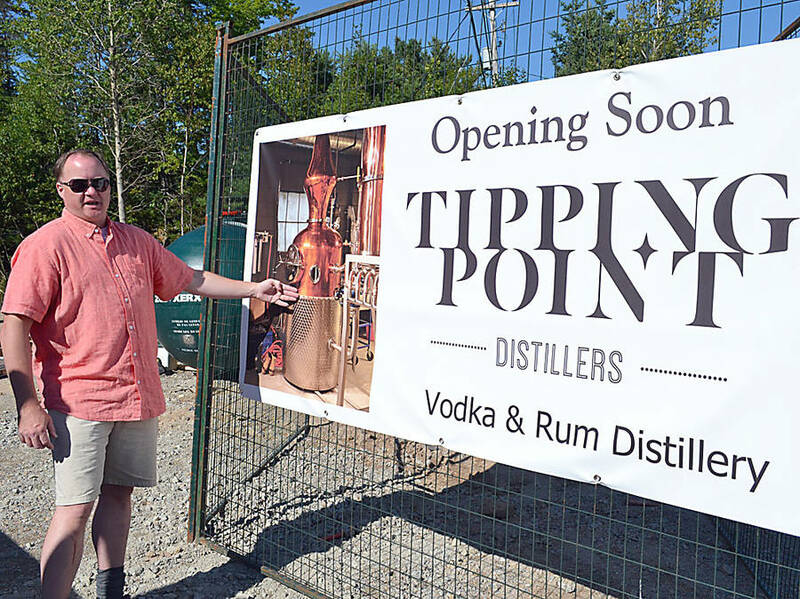 They chose the area for their business, Tipping Point Distillers, after Halifax proved problematic for them, according to Blackburn. "We tried to build this distillery in Halifax, and we got a lot of resistance from the building inspectors and engineering," he told LighthouseNOW in an interview. They learned that strict building codes essentially require a distillery to be in its own facility, independent of any others tenants. "The only way to be completely independent is to buy the land and put the building on it," says Blackburn. But that proved easier said than done in Halifax. "The land is incredibly expensive. There's none left," he explains. "We didn't realize it at first. And when we did realize it, we were like, 'We've got to get outside of Halifax county.'" They looked throughout the province, and in March of this year settled on the South Shore and the property in Chester Basin, which was flat and had no obstructions. They had come a long way over the past four or five years from when Blackburn first started considering an alternative to the trajectory his career path was taking. "I didn't like working for other people and sitting behind a desk," says Blackburn, who has a degree in business and was dealing with company accounts. He became aware how well craft breweries were doing, and heard that some were experiencing double digit sales increases on an annual basis. And it helped that Lori worked in the Nova Scotia Tourism wine and cuisine development program at the time. However, while "breweries were popping up everywhere," Blackburn was keen to do something different. "I said, 'Why isn't anybody making rum and vodka and stuff like that?'" He was aware of Lunenburg's Ironworks Distillery and Glenora Distillers in Glenville. "And there might have been one or two others," he says. But he surmised the industry was still in its infancy. "'So we said, 'Let's look into it.'" Blackburn suggests they spent about six months researching the possibility of a distillery and crunching the numbers. "And I said there's quite a lot of opportunity here." The couple rented a motor home and travelled to about 30 distilleries in the northeastern U.S.
"We weren't a threat to them because we're from Canada. They were spilling their cuts. And they were very helpful. " says Blackburn. "And then we came back and were were like, 'Yeah, we're going to move forward with this.'" They took a leap of faith and invested in a high-quality copper still from Europe. You can buy a house for the price of these. But it's German engineering," says Blackburn. The waiting list to get one was more than a year, and they made the purchase long before they had cleared all the regulatory hurdles. "We had to take a huge risk. It's just something you have to do. But I knew I could sell the still and get my money back," he says. They finalized their business plan, purchased the property in Chester Basin, liaised with the building inspector at the Municipality of the District of Chester and got started with the builders. 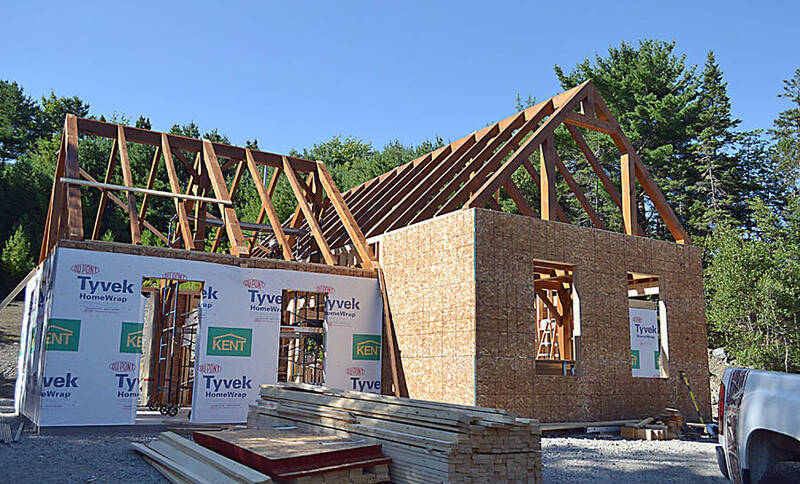 With timber framing by Arlington Timber Frames of Windsor, the distillery has been designed to look like an old boat house, "something that was South Shore," says Blackburn. At just about 1,800 square feet, it's "very, very, very small" compared to other distilleries elsewhere in Canada and the U.S., which can run at about 10,000 square feet. But what it lacks in space, the owners want to make up in character. The idea is to build a destination distillery, a place where tourists and regulars want to visit and stay for the experience, says Blackburn. He says they won't be able to afford to sell their beverages through the Nova Scotia Liquor Commission (NSLC) venues initially, so it's important to draw people to the distillery and have them make purchases there. Initially Tipping Point Distillers will make unflavored vodka, "because we're allowed to produce it and sell it immediately." When they make the rum and put it in barrels, Canadian regulations stipulate it must be aged for a minimum of one year. In the meantime, they've been perfecting their distilling techniques, having taken courses in British Columbia and Bethal, New York, home of the famous Woodstock concert of 1969. 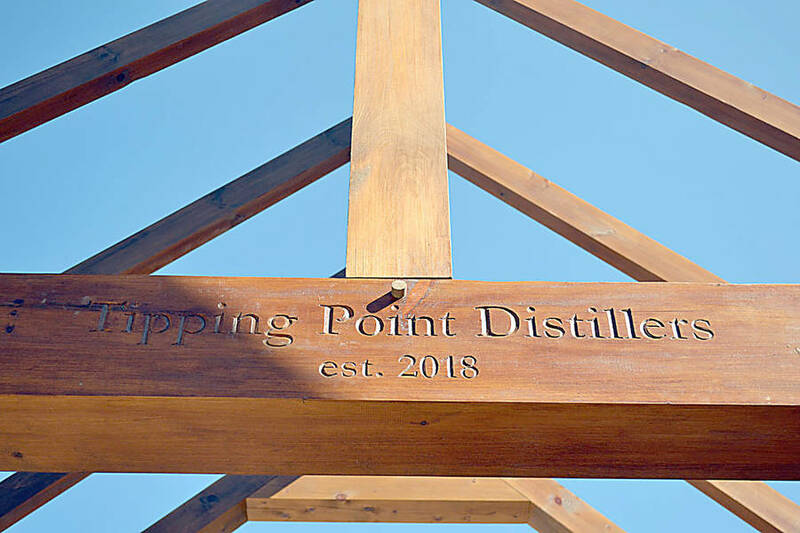 While Tipping Point Distillers is expected to be open in October or November, its owners are determined to be ready to enjoy Christmas sales in December. Blackburn estimates he and his wife have invested about $1 million in the project. "We could have probably done it easy half that," he suggests. But he says it was important to make the investment in the timber framing and a striking, high-end still to help create an appealing atmosphere that people will want to come to. The entrepreneur is high on Tipping Point's potential as a new distillery on the South Shore. "There's opportunities in this province. You just to take them," he says.